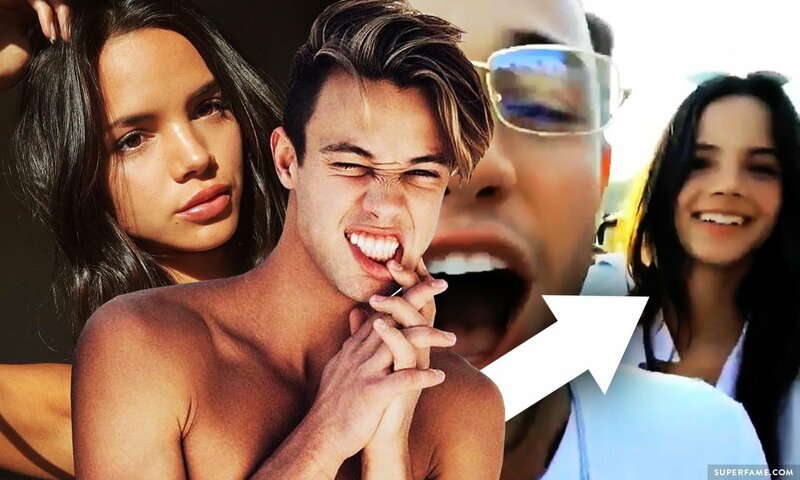 Cameron Dallas recently attended the Red, White and Bootsy 4th of July party in Malibu, where a hot model tried to seduce him and failed hard. Although Cameron is probably used to being the object of attention from millions of girls, he was still a little shook when she came onto him physically! 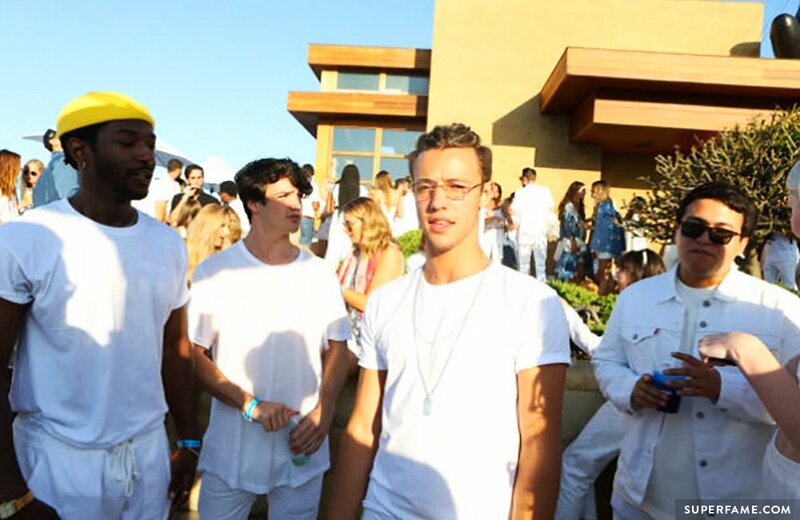 Cameron Dallas rocked up to the white party with a bunch of his friends, including Aaron Carpenter, Bryant, Willie Jones and Darrick. They were enjoying the vibe and appeared to be having tons of fun. Model Christine Burke was also one of the guests who attended the party, and seemed to have spotted Cameron Dallas in the crowd. She made her way over to him and tried to get close to Cam, despite Cameron having no idea who she even was. In this scene, she can be seen smiling in the background while Cameron and Twan Kuyper mug for the camera. There she is again! Christine makes sure to get into Cameron’s shot. Later on, she attempted to get even closer to Cameron! In this shot, you can see her sensually rubbing her hands on his shoulders while gently nuzzling his neck with her face. Imagine a complete stranger suddenly rubbing up on you! Awkward! Cameron Dallas spurns the model’s steamy advances. Cameron was not having it! He brushed her aside immediately. Awkward. Cameron Dallas Accuses the Girl of Looking for Fame! 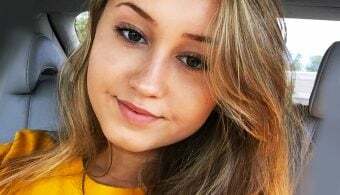 After the snaps were posted, the girl was forced to disable comments on her recent Instagram photo since she was being spammed by haters and snake emojis. Cam Dallas, who liked these tweets, was super confused. Cameron “liked” a bunch of fan comments. “Who’s she? She wants to be famous!” was one comment he liked. “He swerved that b****,” said another fan. Tough luck, girl! Better luck next time. 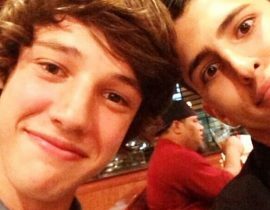 We Can’t Believe How Many Girlfriends Cameron Dallas Has Had! 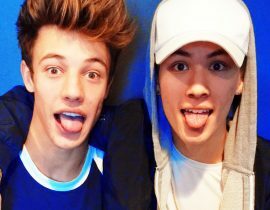 Cameron Dallas & Taylor Caniff Are Getting a NETFLIX Reality Show!